Shimano does also make other components for bikes than just gears and wheels. They are also one of the bigger sellers of clipless pedals for roadbikes and mountainbikes. We have looked on some Look Keo 2 Max before, and now it is time to look on the Shimano 105 PD-R540 SPD-SL road pedals. 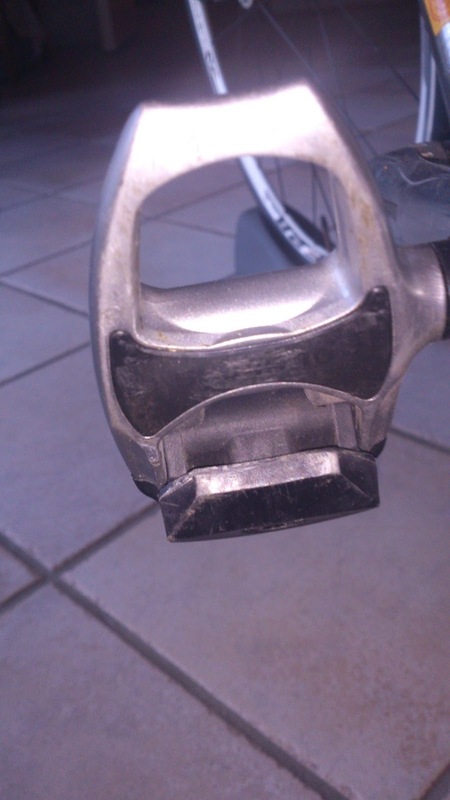 They are Shimano’s budget clipless pedals, yet only beaten by the more expensive Ultegra and Dura Ace-pedals. I have been trying both the Shimano Ultegra and these 105’s. You can read about the Ultegra here. They weigh in 325 grams a pair, which of course could be a lot lighter (Speedplay coming in at about half the weight), but the weight is meant to give a great durability. A bahco key can adjust the tightness of the release of the clamps, so it will be able to suit all different kind of ridertypes. Some people like it to be tight, others wants it to be easy to get out of. So it is definitely some pedals that on paper would fit most people. But how is it to ride on them? First time I tried these, was the first time I ever used clipless pedals. I was shocked by the speed I gained. I crushed all my records in the very first trip, because I was suddenly 2 km per hour faster from one day to the other, by just shifting from standard pedals to clipless. At a training perspective, they are making you train a bigger part of your legmuscles, than normal flat pedals, due to that you not only push down in the pedals, you also pull up..
Well, they are surprisingly great. After about 5.000 km, I have not had any failure with them. I am even using some cleats that have been used since 2011 and they work, as they were new, even though they do look a bit beaten. They are easy to click in and out of. 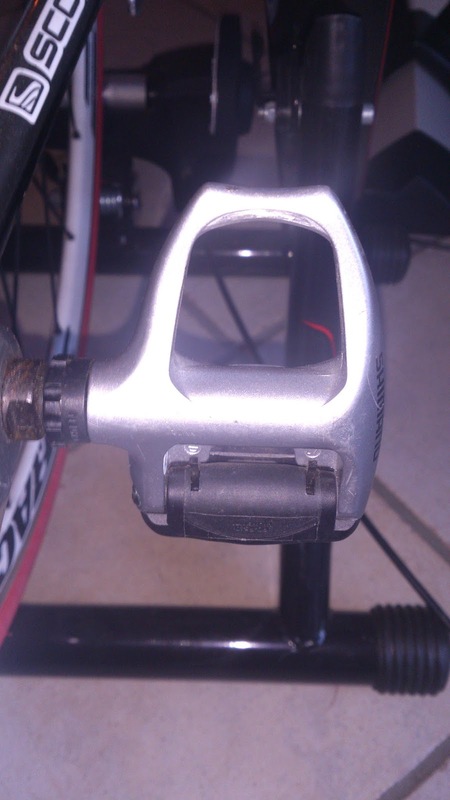 The pedals backend is heavier than the front, so the front is pointing upwards, and you just have to push your foot forward to get your cleats in the pedals. The system works fine, and with a little training, you can get in them in no time. Also getting out of them is easy. Just push your heel to both side, and it will click out. It is at this point you can adjust just how hard you have to push before the cleats goes out of the pedals. I was using these for about a year, and not a single time have they failed on me. At no time while sprinting or putting extra hard force in the pedals, have they failed on me. The cleats has always been in the pedals, and that makes you trust the whole system a bit more while sprinting. You are never thinking, “what if one foot falls out of the pedal now?”, and that feels like you gain 1-2% more speed because of the blind trust you get on the product. The pedals feels solid, and the size of them makes you get a big place to put the pressure on, which makes sure that no parts of your foot feels sore after been pushing for some time. Minor pedals can make you lose the feeling of some part of your foot for a small amount of time, due to the blood not being able to circulate properly along with nerves being squished. The Shimano SPD-pedals seems to do this job just fine, preventing that from happen. Some people do complain about the SPD-pedals allowing too much flex, but I have not been experiencing this at all. To me, it feels like my foot becomes one with the bike. I guess if you are a heavier rider who can put in more Watts than I can, maybe it can be case. But if that is the case, just try to tighten it as mentioned earlier, and it should not become that big of a problem some people makes it. The weight of them does not seem to influence anything. Yes, you can get lighter pedals, but the question is, if they lose in the quality by losing their weight too? That will be a subjective thing, but I am willing to give up 100-150 grams on these, because they ride really well. I have tried the more expensive and a bit lighter Ultegra SPD-pedals from Shimano, and I can only conclude, that I do not think there is any of a difference. They look the same, the cleats are identical, and you only save 10-15 grams per pedal with the Ultegra. So on paper the Ultegra-pedals are a bit better, but in reality, you cannot feel any difference at all. Overall, I like this product. It seems to be in a great quality, and the weight has not been a problem in any sprinting situation. The adjustment of them makes sure you always get it just as easy (or hard) to click out of, as you want it to be. For the price of around 100 euro’s you get a great set of pedals (and cleats) that can last for a long time. They are a well spend upgrade. However, if you want to spend 25-30 euro’s elsewhere and you do not care if your pedals says “105” or “Ultegra”, you can just as well go for the 105 SPD-pedals. They feel exactly the same when on the road, and 15 grams for a pair of pedals, will not make the difference between a world champion and the second place.